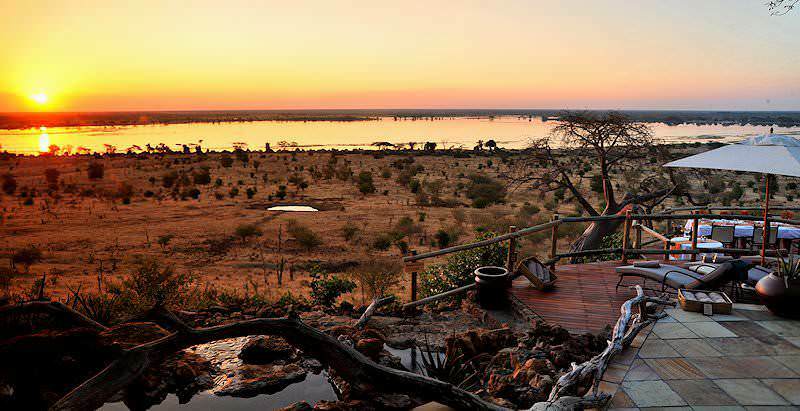 Ngoma Safari Lodge overlooks the vast floodplains of the Chobe River in Botswana. Ngoma Safari Lodge opened in 2011. 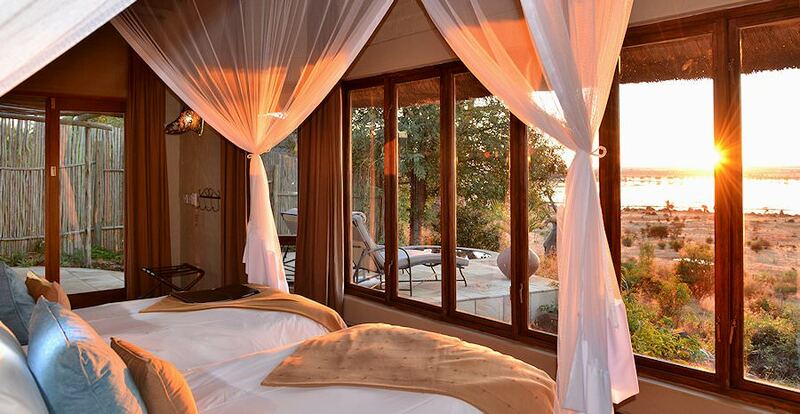 It is set in the Chobe Forest Reserve in Botswana, less than an hour's drive form Kasane. It is fairly close to the Victoria Falls, where plenty of adventurous outdoor activities can be enjoyed during your luxury African safari. 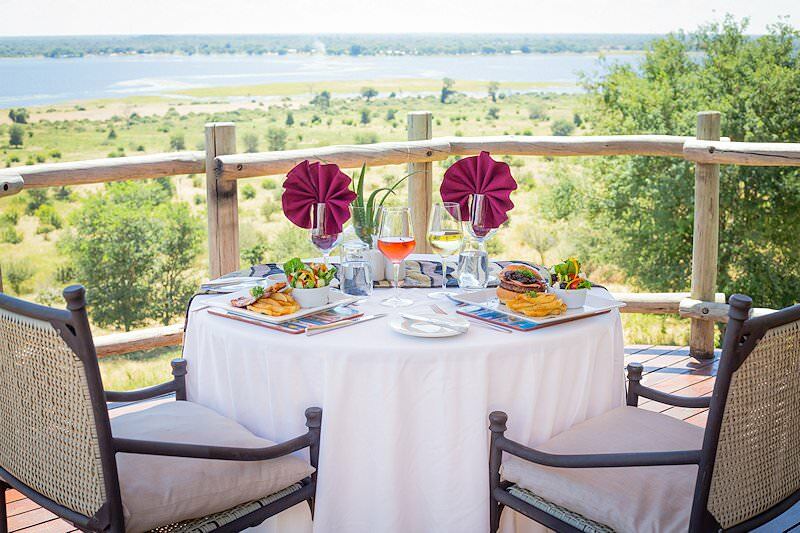 This magnificent five star lodge is perched on a ridge, overlooking the floodplain of the Chobe River. 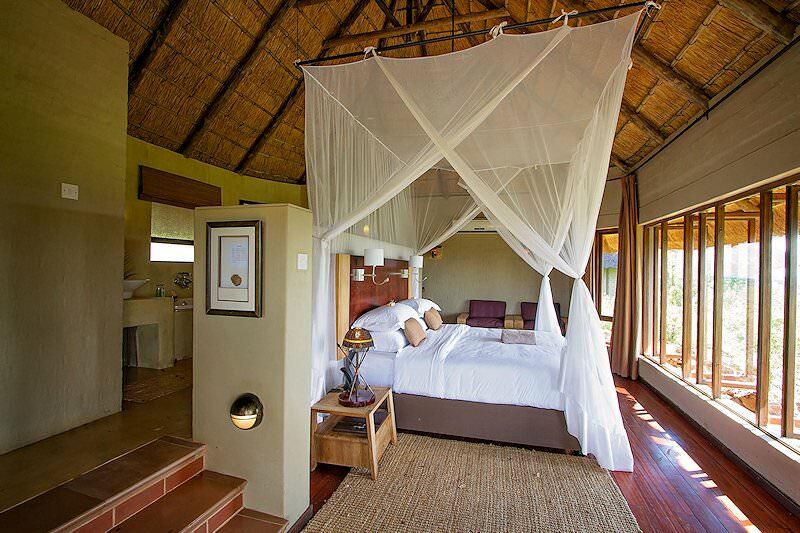 Ngoma Safari Lodge consists of eight spacious thatched suites, all well-appointed with their own bathrooms, beds draped with mosquito nets as well as indoor and outdoor showers. 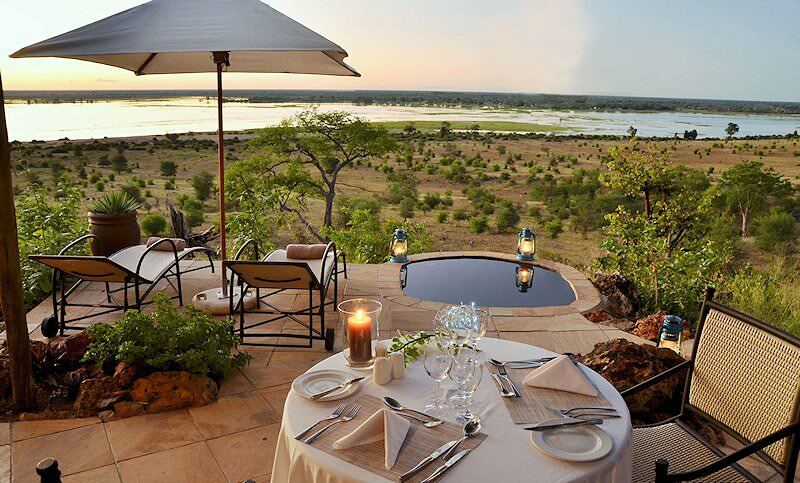 The suites are all river-facing, affording guests splendid views across one of Africa's true wilderness areas. The suites are kept cool with overhead fans as well as air-conditioners. There is a mini-bar in every room, as well as tea/coffee facilities. A private plunge pool on each room's veranda rounds out the luxurious touches at this splendid luxury African safari lodge. The main area of the lodge has a lounge, dining area, bar as well as a deck from where the area can be admired. The public areas are decorated in an African style. Botswana safari activities conducted at Ngoma include both land- and water-based game viewing accompanied by experienced rangers and trackers. 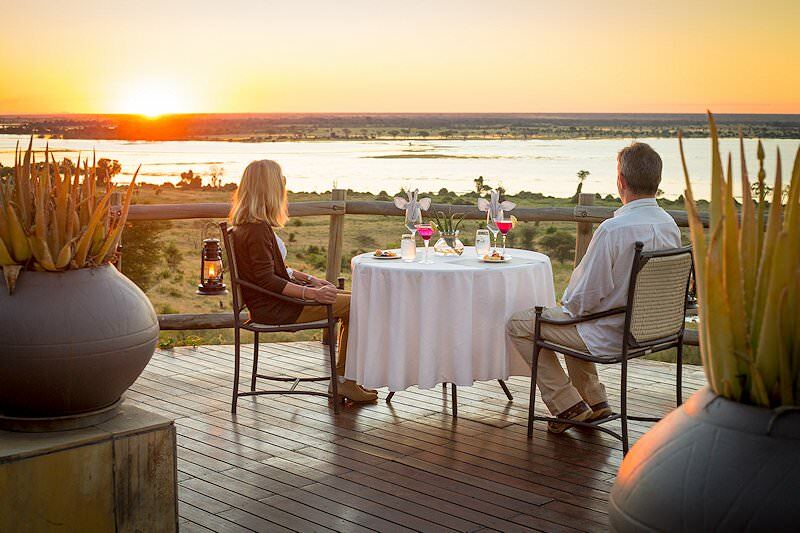 Guests fly from O R Tambo International Airport in Johannesburg to Maun and are then transferred to Ngoma Safari Lodge in the Chobe Forest Reserve for their safari in Botswana. 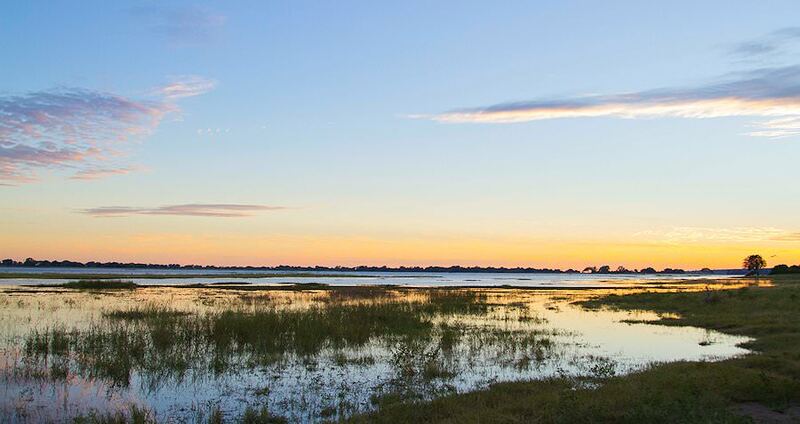 The thatched lodge overlooks the sprawling flood plains and Chobe River - the perfect site for a late afternoon sundowner. 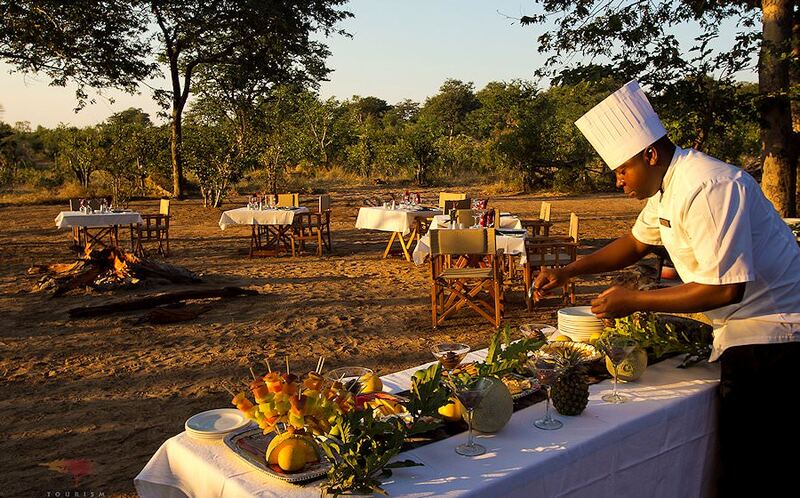 From picnic lunches in the bush to candlelit dinners on the view-rich deck, mealtimes during this safari are a feast for the senses. Each unit boasts its own private plunge pool for when the heat becomes a bit too much. The lodge offers three different ways to explore the reserve; by open-air 4x4 vehicle, by river cruise and by foot. Full-day excursions include both game drives and river cruises. Chobe is home to a high concentration of elephants, so guests are certain to stumble across them on every outing. Other animals in the reserve include lion, leopard, buffalo, hyena, jackal and many species of antelope. Optional day excursions include cultural village tours and Victoria Falls - a fine addition to an African safari. Ngoma is a very nice lodge which compares well with Chobe Chilwero, the only other lodge which overlooks the Chobe River that is of a similar standard. 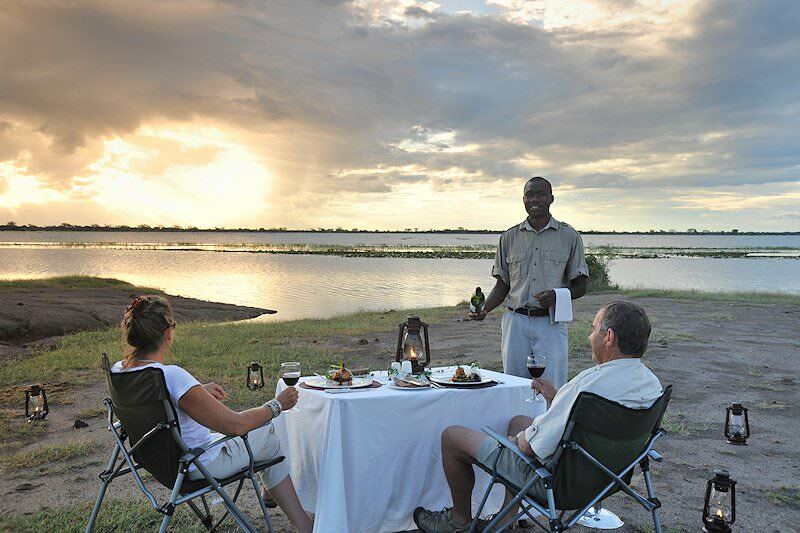 These two lodges offer the finest luxury Botswana safaris in northern Chobe National Park. The setting of the lodge is spectacular; in the dry season, you should see thousands of elephant come to the water&apos;s edge during the late afternoon. A truly amazing African safari awaits. Travel to South Africa for a great value-for-money African safari experience. Botswana's myriad wilderness areas offer remarkably authentic safaris. For a truly unique safari, opt to explore the desert country of Namibia. Zambia is an often overlooked but truly rewarding safari destination. Zimbabwe's most famous feature is the awe-inspiring Victoria Falls. Mozambique is a tropical paradise of myriad islands and vast swathes of beaches. The Kruger National Park is a sprawling two million-hectare wilderness that offers exceptional safari experiences. 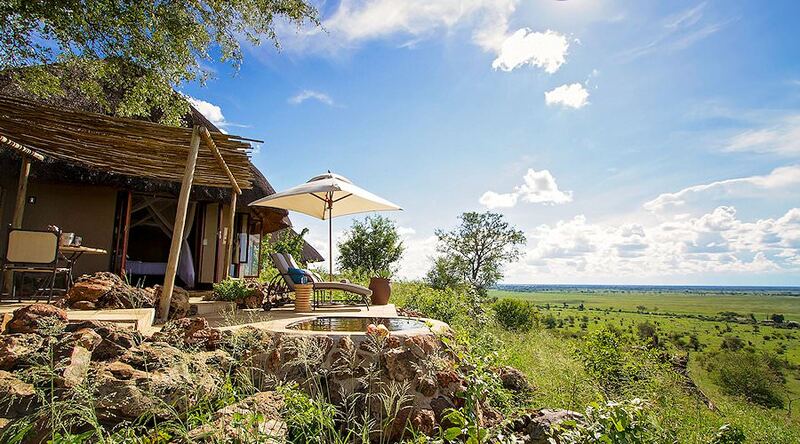 The luxury safaris we offer are characterized by sumptuous accommodations in remote, truly wild settings. The Big Five are the continent's most illustrious mammals, typically providing the most memorable sightings on safari. 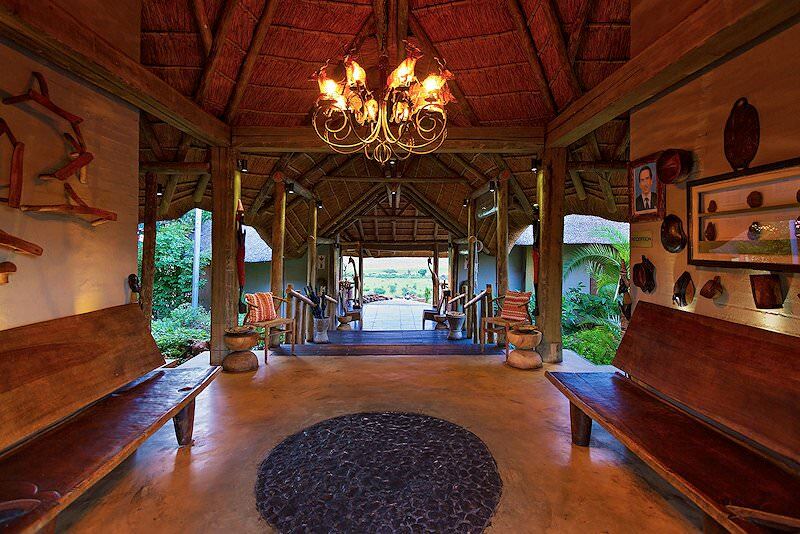 The African lodges we use range from comfortable four star properties to opulent outposts in pristine wilderness areas.